The perfect team — collaborative, informed, experienced, and by golly, even a little bit fun. Barbra Anderson has 30 years of corporate experience with global airline, car rental and technology companies. Her executive-level expertise has been in corporate responsibility, marketing, customer service, human resources, purchasing, and multi-stakeholder collaboration, most recently as Director of Global Corporate Responsibility for Sabre, and Executive Director of the Sabre Foundation. Barbra established business-focused social, environmental and responsible travel solutions that won awards around the world. She has achieved measurable results by developing award-winning global environmental and social innovation initiatives, such as “voluntourism” programs, social impact solutions, and responsible travel product suites. She led the development of programs such as Math Can Take You Places, Travelocity’s Travel for Good, and Sabre’s Passport to Freedom travel industry initiative to end human trafficking. These programs were noted by the U.S. Department of State, U.S. Department of Transportation, and White House as brave and innovative. She partnered with the UN World Tourism Organization and Marriott to roll out the “Responsible Traveler” campaign to raise awareness to fight several forms of trafficking. Barbra was appointed to the U.S. State Department’s Stakeholder Advisory Board, a subcommittee of the Advisory Committee on International Economic Policy, and she served on the Corporate Citizenship Leader Forum at The Center for Corporate Citizenship at Boston College. At American Airlines, Barbra led Purchasing department colleagues to win Purchasing Magazine's "Medal of Excellence," a first for a service company. Her car rental experience includes operations management at DFW Airport with Budget, as well as marketing, advertising, and leadership of regional community locations and a reservation call center with Hertz. An author on customer service, speaker and board executive, Barbra is a collaborator who focuses on possibilities. She holds a Bachelor’s in Marketing from Florida State University, and a Master of Arts in Global Sustainability: Sustainable Tourism, from the University of South Florida, Patel College of Global Sustainability. 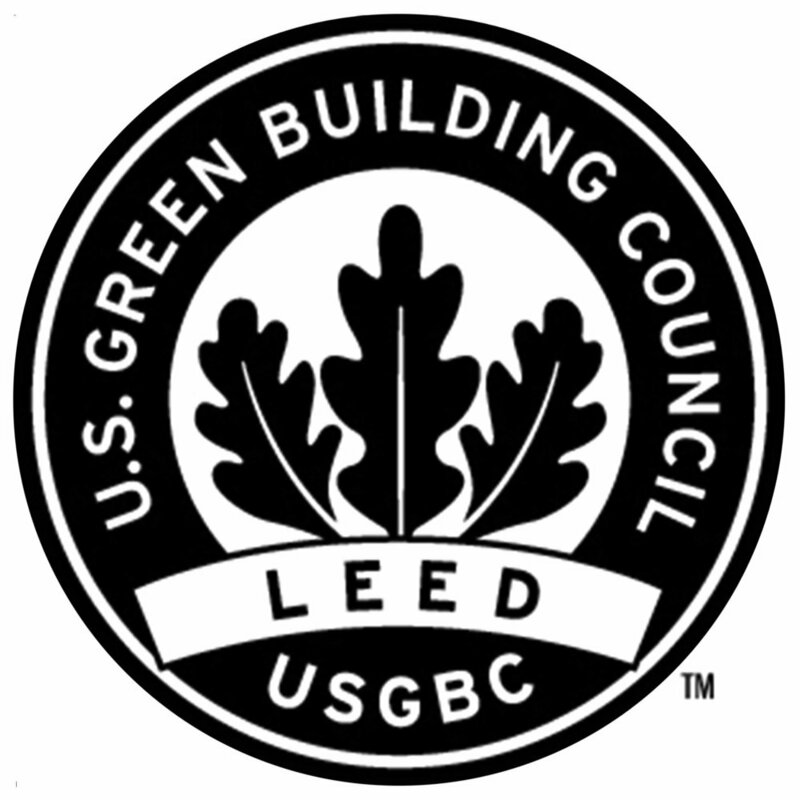 Barbra is certified as a U.S. Green Building Council Leadership in Energy and Environmental Design (LEED) Green Associate, she holds an Advanced Certificate from the Center for Corporate Citizenship at Boston College, and has trained in the International WELL Being Institute’s WELL Building Standard. Barbra is an innovative thinker with strong leadership, communications and relationship-building skills. In her mission to help make people and places better, she's passionate about bringing disparate stakeholders together to inspire and achieve impact. Download Barbra's full bio here. 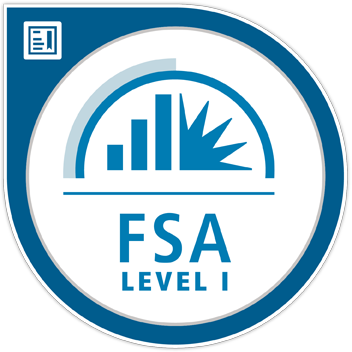 Janet C. Hall is a graduate of the University of South Florida College of Business-Finance with a recent Sustainability Accounting Standards Board (SASB) FSA Level 1 certification expanding her ability to link material sustainability information with a company's financial performance. Her experience includes management roles in business, entrepreneurship, production, manufacturing, communications and sales, as well as human resources, Environmental Health & Safety, and sustainability data management, with corporate experience at Apple and within Xerox’s Public Sector group. Janet works with publicly held, global and private corporations across a number of industries, non-profits and government entities. By educating leadership on the relevance of macro-trends specific to their mission, assessing current practices, identifying risks and collaborative opportunities, she provides step-by-step guidance for setting the course to a sustainably-focused future. Giving back to her community, Janet is an active board member of the Sustany Foundation, where she developed and implemented the Sustainable Business Program, assisting organizations in need of sustainability direction. Organizations who benefitted from this guidance achieved results in energy reduction, increased waste diversion and cost savings. Additionally, the relationships between departments were strengthened as they learned how each of their functions impact other departments and the overall balance of the economic, environmental and social characteristics of the organization. Janet is also Chair of the Sustainability Committee of the St. Petersburg Chamber of Commerce. As a process-driven, visionary thinker she is able to create sustainability practices that benefit profitability, manage natural resource use, and positively impact individuals and community. Janet enjoys helping businesses and their employees flourish by capitalizing on their economic, environmental, and social opportunities, which underlies her overall mission to create a healthier planet and thriving future for all. In her personal time, Janet is a professional vocalist with two Tampa Bay area bands. Download Janet's full bio here. Sustainability & CSR report writer and storyteller. Expertise in UN SDGs, human rights and business ethics. Amy Brown is a strategic sustainability communications expert with over two decades of experience in writing award-winning sustainability and integrated reports for leading multinational companies across a range of sectors, including ICT (information and communication technology), consumer goods, pharmaceuticals, travel and tourism, and transport. She has over 30 world-class reports in her portfolio, along with high-level policy papers on human rights and the UN Sustainable Development Goals. Amy enjoys distilling complex issues into compelling, high-impact communications that engage stakeholders. Amy’s focus is on helping companies make sense of a fast-moving sustainability agenda, identify actions that deliver a strategic edge, communicate sustainability commitment, and strengthen stakeholder engagement. In addition to helping companies tell a compelling value creation story, Amy’s communications expertise has helped clients identify their most material issues, develop a value chain approach, manage risks and spot trends, and make the business case. She crafts content that provide a platform for companies to build trust, engage in dialogue with their stakeholders, and begin to transform markets—as well as tell their stories with candor and creativity. To help companies take their reporting strategy, framework and practices to the next level, Amy has in-depth knowledge of the GRI (Global Reporting Initiative); the UNGC (United Nations Global Compact), the International Integrated Reporting Council (IIRC), the UN Sustainable Development Goals and the UN Business and Human Rights Reporting Framework requirements. Amy began her career as a journalist, with a B.A. in English and Journalism from Simmons College in Boston, Mass. 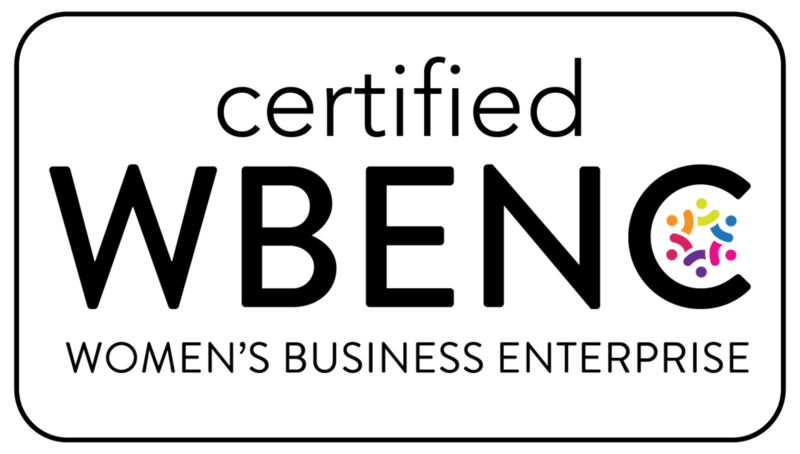 After a decade as a newspaper journalist in the US in the 1980s, and as a Stockholm-based business writer in the early 1990s, Amy developed a sustainability focus while Associate Editor at Tomorrow Magazine: The Global Environment Business Magazine, the leading green business platform for a decade. Amy lived in Sweden for 18 years before returning to the US in 2011. While in Europe, she had the opportunity to consult for several multinational companies leading in the sustainability space. Authored Novo Nordisk's pioneering sustainability reports and integrated annual reports for a decade. Lead writer of award-winning sustainability reports for Scania, Ericsson, Electrolux, and SCA, among others. Authored Scania’s first integrated Annual Report in 2013 and again in 2014 (one of Sweden’s first G4 reports). Authored nine of Ericsson’s sustainability reports. In 2015, Ericsson’s 2014 Sustainability & Corporate Responsibility Report, Technology for Good, was awarded the prestigious prize for Best Sustainability Report in Sweden by the national organization FAR. She collaborated with Ericsson in meeting the requirements of the UN Guiding Principles Reporting Framework for its 2014 report, enabling Ericsson to become the first ICT company globally to use the Reporting Framework for its human rights disclosure. Amy also crafted the content for Ericsson’s first Modern Slavery Statement. In 2016, she was lead writer for the ground-breaking report, ICT & The SDGs: How Information and Communications Technology Can Accelerate Action on the Sustainable Development Goals, on behalf of the Earth Institute at Columbia University and Ericsson. With her knowledge and expertise in business ethics, Amy developed the editorial content for the employee ethics program for Scania, including a business ethics guidance booklet, dedicated intranet portal and mandatory e-training to strengthen integrity across the organization. She was contributor to a 2015 guide on business ethics, Creating a Culture of Integrity, for the UK publisher DoShorts. Amy has been a regular contributor to business magazine Ethical Corporation and has written on sustainability and environmental issues for the International Herald Tribune. She was co-writer/editorial consultant for Walking the Talk, on behalf of the World Business Council for Sustainable Development (WBCSD). Ericka Leigh is an entrepreneur, sustainability advocate, and style enthusiast. 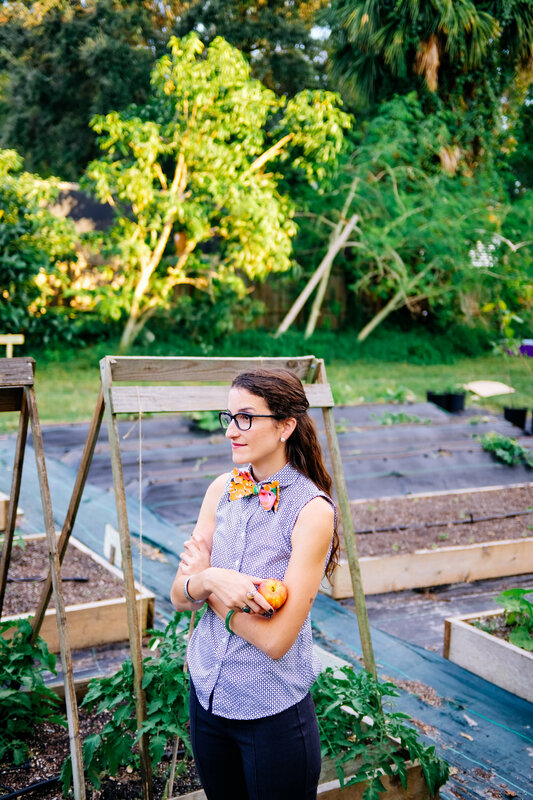 In 2016, Ericka began Sewn Apart, a social enterprise making bowties out of old clothes as a statement about how much we waste as a society, clothes and otherwise, as well as connecting our agricultural system to the fashion industry. Ericka is active in the Tampa Bay community working on various projects regarding hunger, waste management, and empowerment. Through Sewn Apart, Ericka explores the idea that the clothes we put on our bodies and the food we put in our bodies come from the same system, and those affects on the bigger picture. She reuses discarded fabric and textiles making new designs. She is also conducting a fabric composting experiment with a local urban farm. With her early career working in restaurants, she developed an affinity for the food and agriculture system. The beginnings of her environmental career mostly dealt with food waste and composting. While working in restaurants, Ericka had the opportunity to develop and manage initiatives relating to recycling, composting, food waste minimization, and food security. Among her restaurant experiences, Ericka worked at SideBern’s, sister restaurant of the famous Bern’s Steak House, mavericks in fresh, organic and farm-to-table. There she organized, educated and trained over 25 staff members about an oyster shell-recycling program she implemented, where she diverted over 700 pounds of oyster shells from a landfill in nine months. Ericka did her thesis project with the Food and Agriculture Organization of the United Nations in Lima, Peru. She was there for six months working in a school on a food security and school gardens project. She created a curriculum for a workshop to educate and equip children with the tools necessary to ensure their food security for the future, with the dual objective of creating intersectoral and interinstutional cooperation between local and national government entities. Ericka received an MA in Global Sustainability from the University of South Florida, Patel College of Global Sustainability. With a BA in Theatre Arts, Ericka is a Jane of all Trades. Her array of interests helps her to look at problems and challenges in a more holistic manner and to think outside the box. Ellie Moss is an experienced strategy consultant and facilitator who helps organizations and investors achieve their goals while maximizing positive social and environment impact. Since 2004, Ellie has helped clients develop strategies from the issue level to the organizational level. 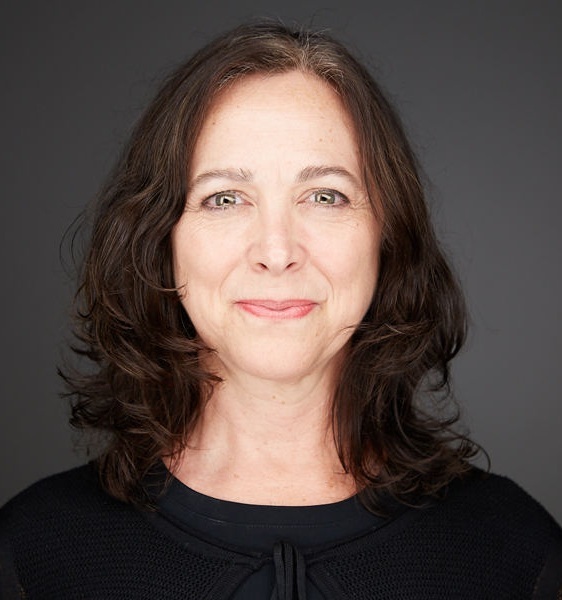 Ellie also specializes in designing and facilitating events such as team and Board retreats, multi-stakeholder meetings, and Appreciative Inquiry Summits. Building on her experience at The Boston Consulting Group and Blu Skye Sustainability Consulting, Ellie now works with clients to understand what is needed and then to develop an approach customized to their specific situation and objectives. Strategy development may include primary or secondary research, data collection and analysis, market or customer analysis, and stakeholder engagement. For the Academy of Nutrition and Dietetics, Ellie worked with a team to design and facilitate an Appreciative Inquiry Summit that engaged a broad range of internal and external stakeholders to find new ways to collaborate across boundaries to achieve shared nutrition and public health goals. For a major retailer, Ellie worked with a team to develop a ‘true cost strategy’ to better understand and consider the social and environmental costs of producing and selling their products. Other past corporate clients include Nike, Microsoft, Nestle Purina, Energizer and Walmart. 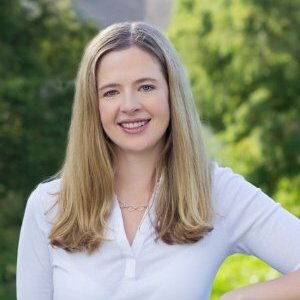 Ellie has an MBA from The Wharton School at the University of Pennsylvania and a BA in Economics and Public Policy from Brown University. With 18 years of hospitality and retail industry experience, Mia’s substantial operational, client-focused and metrics-based skills have proven valuable for the operations she has managed. While in retail management, Mia applied tools she learned during company-specific product sales training to her team. As a result of this people-first approach, Mia’s stores had the lowest employee turnover and highest sales. As a dedicated sustainability champion Mia was inspired to return to the university to expand her business-centered sustainability knowledge working towards a Sustainability Management degree at St. Petersburg College (SPC). She now provides sustainability research and written summaries for companies as large as Fortune 15. Mia is the Vice President of SPC’s student group Net Impact, a global organization that mobilizes next-generation leaders to use their skills and careers to make a positive impact on the world. Mia helps develop community volunteer activities to make a positive impact in local neighborhoods and non-profits, and also helps to connect students with local businesses to facilitate student engagement and integration into the business community. French-Peruvian Miami-native, Nathalie is a cultural anthropologist focused on sustainability and corporate responsibility. Internship experiences with the Research Institute on Social & Economic Policy and the Miami-Florida European Union Center of Excellence oriented her research interests towards the social and ethical role of business in local and international settings. She earned a Bachelor's degree in Anthropology and Political Science, as well as a certificate in Law, Ethics & Society, from Florida International University in Miami, Florida, and is currently completing a Masters Degree in the Applied Anthropology of Sustainable Development and International Development from Aix-Marseille University in the South of France. Nathalie also brings 7+ years of experience in web design, communications, and social media marketing through work with her family-owned digital agency, Quick Social LLC. She has worked on social media campaigns for Mercedes-Benz Perfume, Ellen Tracy, Adrienne Vittadini, Judith Leiber, French Heritage Furniture, and more. Marissa Rosen provides a wealth of experience in digital marketing and social media focused on sustainable business. As a strategic sustainability communications consultant and owner of Climate Social LLC, Marissa designs website and networking strategies to build compelling brands, promotes high profile events, and engages networks that proactively create positive impact. Marissa is uniquely at the intersection of social media and sustainability - fluently communicating on today's latest platforms on the trends in responsible business, while promoting client organizations' work for the environment, society, and equitable economics. Focus areas of her work include project-based campaigns, blog content creation, website consulting, social media skills training, newsletter publications, and more. She earned a Bachelor's degree in Communications (B.A.) from the University of Missouri - Columbia, as a Masters' in Environmental Studies (M.E.S.) from the University of Pennsylvania in Philadelphia. Prior to founding her own company, she worked with the renowned online business publications Sustainable Brands as an online marketing coordinator, and TriplePundit as Director of Social Media. At TriplePundit, she was publicly recognized for leading dozens of engaging corporate responsibility-focused Twitter Chats with C-suite leaders from Fortune 500s, which garnered millions of impressions within an hour. Marissa previously directed marketing for the US Department of Energy's Energy Efficient Buildings Hub stakeholder engagement programs and consulted with startups affiliated with the Wharton Small Business Development Center. She co-founded the University of Pennsylvania's first College House Coordinators Green Team, led her peers through the Green Office Certification program, and worked with Penn's Green Campus Partnership to create its first Residential Advisor Sustainability Manual. Her past speaking engagements include the 6th World Water Forum, PA/NJ/DE Tristate Sustainability Symposiums, Penn Institute for Environmental Studies, and the Penn MES Annual Alumni Panel. She has contributed to regional and national publications including the Huffington Post, Sustainable Brands, TriplePundit, Wharton IGEL, Corporate Responsibility Magazine, and more. She has been honored to be among ClearBright Consulting’s Top 50 Women to Follow on Twitter for 2017 and listed in Leo Raudys' Guide to Sustainability and Corporate Social Responsibility. Versed in multiple industries, Koji has a keen sense of “bringing your story to life”. With 6 years of videography under his belt, Koji provides the tools needed to help businesses, corporations, speakers, musicians, and entrepreneurs bring their stories to the forefront of the masses. These tools help create digital assets which are extremely useful and highly demanded regardless of industry. Video is a major factor in the exposure of any business. Not just for new prospects, new leads, and sales, but also for showcasing what you are doing to give back to your community, clients, and stakeholders. Koji is here to unveil the good steps you are taking and how you are making an impact. We see it all the time, a business may be doing great things to give back, but might not have the time or resources to showcase these great efforts. Caught Doing Better, a streamlined service that captures client testimonials, internal employee interviews, and a promotional video all packed into one, will shine light on the good you’re doing. In other words, you could consider yourself “Caught Green Handed”. In January, 2018, Koji sold his car in efforts to lower his footprint in today’s fragile environmental condition. With a dedication to provide value and introduce video into your business, Koji own’s Optimal Cinema, a company that provides video services at the young age of 23. Jim Thomas is a recognized senior professional known for developing and implementing Corporate Responsibility/Sustainability strategies, policies, and compliance programs on a national basis. He has led Corporate Responsibility/Sustainability affairs at the corporate, business unit and site level in various industries, including food, retail, manufacturing, pharmaceuticals, and chemicals. Jim is a founder, speaker and facilitator in major industry groups, including EHS & Sustainability Roundtable, Retail Sustainability Initiative, Pet Food Sustainability Workgroup, Sustainable Apparel Coalition, Global Environmental Management Initiative, and the UN Global Compact. From 2012-2017 he was the Vice President, Sustainability, Environment, Safety & Risk/Chief Ethics & Compliance Officer of Petco. In this new position he led the Company’s long-range strategies and collaborated closely with the Executive Board and Leadership Team as Chief Ethics & Compliance Officer. Under his leadership Petco was selected to the World’s Most Ethical Companies list from 2012-2017. From 2007-2011 he was the Vice President, Corporate Social Responsibility at JCPenney and led the company to a position of industry leader in Sustainability. The company was included in the Top 100 Greenest Companies in the US (Newsweek ranking), achieved inclusion in the Dow Jones Sustainability Index for two years, and rated 14th in CSR Index Top 50 and #89 in Climate Innovation Index Leaders. He also established an employee engagement program that resulted in 87% of employees rating JCP as a socially responsible company and the company being recognized as an employee engagement leader in the US. Prior to JCPenney he held a number of roles in Novartis and Gerber focused on corporate social responsibility and sustainability. He earned a BS degree in Chemistry from University of Texas at Austin and a Masters degree in Biochemistry from Texas A&M University. A native of Savannah, Georgia, Alfonso moved to St. Petersburg in 1974 to attend Eckerd College. Spanning 40 years of business ownership and community engagement, in a wide spectrum of roles and leadership positions, he has been an effective champion for the marginalized. Alfonso is active in faith-based community organizing, working to address the problems and concerns of citizens, which in turn, vitalizes and strengthens communities for all. Alfonso’s compassion and love for others manifests itself in his work ethic. He is an effective communicator, good listener, and works well alone or with others. His leadership skills equip him to work together with multiple ethnicities and beliefs, to transform communities. In 1979 Alfonso established Ananias Financial Associates, an insurance and financial services company initially created to offer tax deferred savings plans primarily in the 403(b) market. 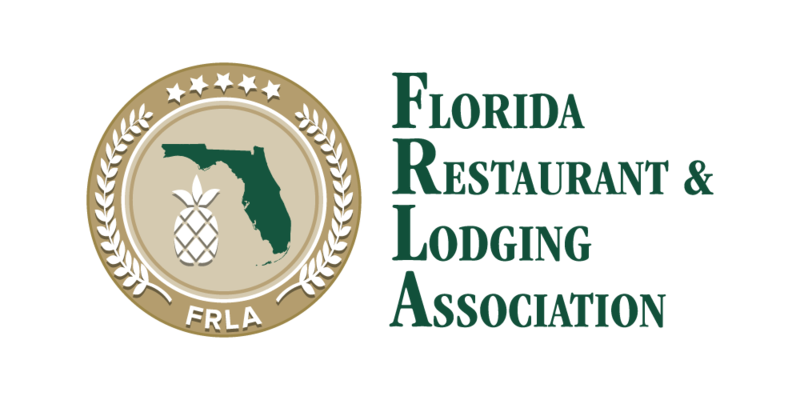 Licensed in the State of Florida for nearly 40 years, the company has since grown to include Tax, Retirement and Insurance planning. He has also served his community as a Commissioned Stephen Minister, a volunteer board member with the NAACP, Habitat for Humanity, The Mustard Seed Homeless Shelter, and the St. Petersburg Community Alliance. Alfonso is married and enjoys reading, theatre, fishing and giving back. Download Alfonso's full resume here. Thank you! One of our team members will be with you shortly! Click here to see a welcome letter and checklist from our Founding Partners.